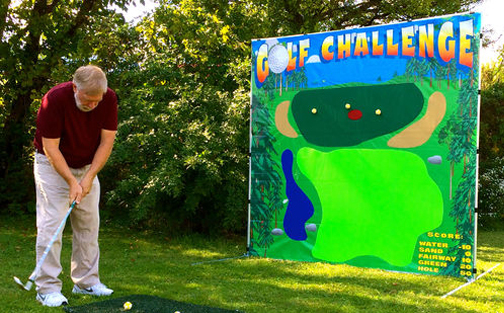 With its colorful backdrop, which is designed to look like a golf course, is Velcro-receptive, so the special Velcro practice golf balls stay right where you hit them. 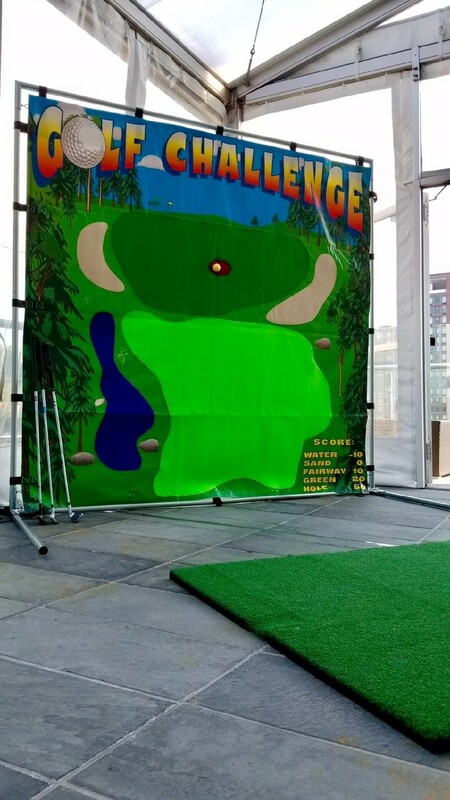 Golf Challenge With its colorful backdrop, which is designed to look like a golf course, is Velcro-receptive, so the special Velcro practice golf balls stay right where you hit them. For pros or novices alike, this game can quickly become addictive. 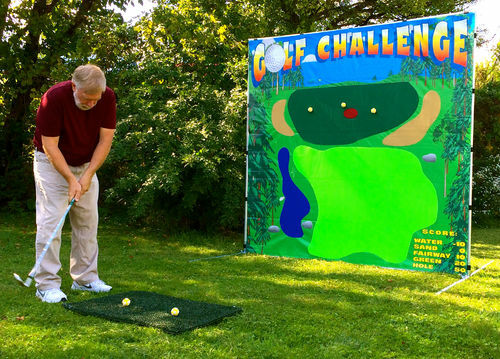 Great for Golf themed events and corporate outings.